Are you concerned about bats getting into your home? You need Ridge Vent Bat Protection Now! You need Ridge Vent Bat Protection since Bats getting in your home present serious concerns. Bats gain access through the ridge vents on the peak of your roof. Those weaknesses come from the type of ridge vent installed on the peak of your roof, and the pitch of your roof. You can have multiple areas of weakness where a bat can gain access into your attic or living space. Over time, your ridge vent can weaken from UV rays and temperature changes. The ridge vent can also start to warp and weaken, giving Bats the perfect opportunity to enter your attic and living space. Did you know bats can get into your home through very small openings? So keep them out with Ridge Vent Bat Protection Today! Bats only need 3/8 of an inch opening allowing them attic and living space access. Once Bats are inside, they can do thousands of dollars of damage in a short amount of time, and attic restoration costs can add up quickly. Once Bats gain entry into the home, they can also have negative effects on your health. One of the main illnesses caused by bats is Histoplasmosis. You want Peak Protector Ridge Vent Bat Protection protecting you from any potential illnesses and bat problems! Want protection from bats? Then get peak protector today! By installing Peak Protector Ridge Vent Bat Protection, THE BEST top quality ridge vents protects your home. Also, Peak Protector allows proper ventilation and air flow out of the attic. Furthermore, Peak Protector ensures that Bats are kept out of your attic and living spaces. 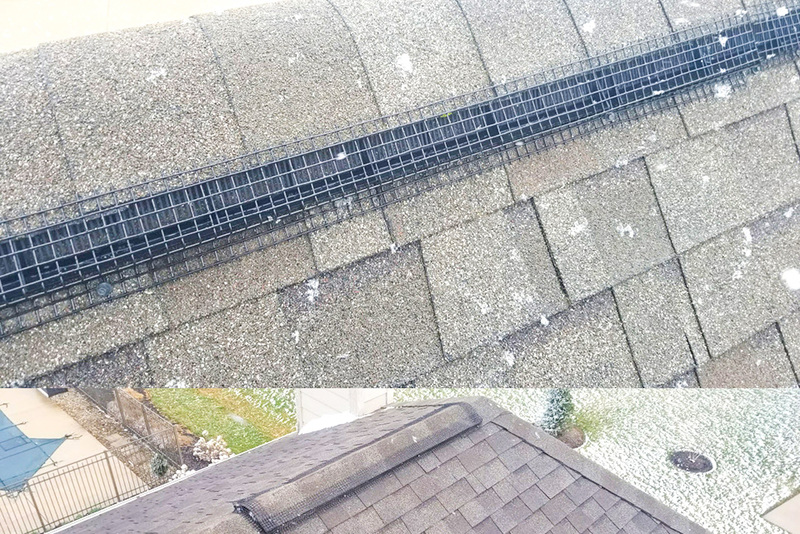 By installing Peak Protector on your ridge vents, you will have peace of mind knowing your home is protected with the highest quality ridge vent protection on the market!